Kent has been a journalist in Perth for more than 35 years, predominately for The West Australian newspaper. While he has covered and reported on a diverse range of areas, from politics to sport, he has also been reviewing movies, videos and DVD releases for most of the last 30 years. He has also occasionally reviewed concerts, cabaret shows and plays. In more recent years, he has reviewed a significant number of shows at Fringe World, ranging from stand-up comedy and concerts to theatre. For the last five years, he has also been an adjudicator for the Robert Finley Awards, a long-running awards program for community theatre in WA. Chris Bedding is a priest, comedian and activist. His ‘day job’ is Rector of the Anglican Parish of Darlington-Bellevue. He is a strong voice for progressive Christianity, notably around the issues of refugee rights, marriage equality and worker’s rights. He is regular guest on ABC720, 6PR and Radio National. Chris is one half of the comedy duo ‘Pirate Church’, now in residence at Comedy Lounge Perth City. Pirate Church won the Fringe World Award for Best WA Comedy in 2016 and has appeared at Melbourne International Comedy Festival, Beyond Festival and the National Christian Youth Convention. As Musical Director at Just Improvise, Chris regularly creates long-form improvised theatre. He teaches both beginner and advanced improv, as well as a specialised musical improv program for WAAPA acting and musical theatre students. Chris created the role of ‘Brian’ in ‘Falling to the Top’ for Holland Street Productions, which won the Martin Sims Award at FringeWorld 2014. His other musical theatre credits include Cinderella, Spamalot, Les Miserables, Jesus Christ Superstar and Joseph. In 2013, Chris won the Robert Juniper Award for the Arts which enabled him to study improvisation and sketch writing at The Second City Training Centre in Chicago. Cicely's love for performing arts began at an early age, with classical music being a big part of her education as a child, and vocal and theatre performance making its way into her world as a teenager. Her love of theatre never went away, and she decided to pursue a Bachelor of Arts in Drama from Texas Woman's University. Once settled into Australia, Cicely began to look for theatre groups to get involved with and took part in several community theatre productions. Then a theatre acquaintance put her in touch with two online performing arts publications that were looking for a reviewer, and she put my hand up and began writing about as many productions as she could possibly fit in. Opportunities to contribute to other publications like The West, The Post and X-Press Magazine came her way, and she is now on board with X-Press as Arts Editor and run my own performing arts blog, Perth Arts Live. A writer with a passion for performing arts, Nerida has written reviews, assisted with grant applications and documented arts performance and exhibitions for over 20 years. A founding member of Buzzcuts among other projects with Express Media in Melbourne, now based in Perth via various locations including Seoul, London and Manchester, Nerida has followed the development of Perth’s cultural life closely since the inaugural FringeWorld mini-festival in 2011. Writing for national outlets including RealTime, artsHub and Australian Stage Online, Nerida aims for informed, informative, concise and accurate documentation of a broad range of performance styles, with particular interest in innovation that develops the skills of creatives sharing the excitement of live performance with a broader audience. Andrea Fernandez was born in Carnarvon and has family ties in the Kimberley Region of Western Australia. She has been acting since the age of 11 and has worked in Radio, Advertising, Film and Television production. She is the current Marketing Manager for Yirra Yaakin Theatre Company and has been in this role since 2009. Dirty Blue was her first piece of writing for the stage as part of Yirra Yaakin’s Writer’s Group which was presented at The Blue Room Theatre in 2013. In 2017, Andrea joined Black Swan State Theatre Company’s Emerging Writer’s Group which resulted in the public reading of A National Park. Also in 2017, Andrea was awarded a place at the Yellamundie National First People’s Playwriting Festival (as part of Sydney Festival); a 2-week creative development for her current work, Bollywood Dreaming ensued, also resulting in a public reading at Sydney Festival. Bollywood Dreaming is a musical about her parents love story set in Yamatji country and Kolkata, India. Andrew Hale has been a creative voice in the Perth theatre industry for 25 years. He has worked for the major companies and performed and produced work through his independent theatre company Happy Dagger Theatre. Libby is a performer, director and producer. She has worked for a variety of companies over such as Perth Theatre Company, The Last Great Hunt, Lunchbox Productions UK, Black Swan State Theatre Company, Barking Gecko Theatre Company, Cut Snake Comedy, WAAPA and The Blue Room Theatre (of which she is the Chair of the Board). She has produced and directed award-nominated shows See Ya, Sailor Man (Cracked Egg Productions); These Guys; Ramshackle & Kitsch and produced The Man and The Moon (all for her company Variegated Productions). Libby is well known for her work in improvisational theatre around the country, including as an original member of The Big HOO-HAA! (and still going strong for 15 years). She works between the education and arts industries, and teaches in schools and universities. Thomas is a graduate of Curtin University (Theatre Arts), WAAPA (Music Theatre) and VCA (Performance Creation), applying his skills to creative developments and performances throughout Australia and internationally. Highlights include CHICAGO - THE MUSICAL (Australasian tour), Associate Director for NON PARLO DI SALO (Melbourne Workers Theatre), CAUCASIAN CHALK CIRCLE, PORTRAITS OF MODERN EVIL (Black Swan), THE GIANTS (PIAF), IRENE - THE MUSICAL with Hollywood legend Debbie Reynolds, and CAFE REBETIKA! (co-writer, choreographer and performer). His solo show LOOMING THE MEMORY, performed around Australia, Singapore and New York, collected Best Actor (2006 Equity Guild Awards) and Best Production (2007 Blue Room Awards). As an educator, he has run workshops at WAAPA, VCA and numerous high schools, lectured in Acting at Charles Sturt University (2011-2014) and designed the Performance Making course at WAAPA. Anna is a producer and arts manager who predominantly works in multi-arts festivals. Her work experience is broad, spanning the national non-for-profit arts and culture sector. For the past 15 years Anna has worked and collaborated with some of Australia’s most extraordinary companies and artists creating, presenting and touring work of all shapes and sizes. With an extensive background in touring, production & event management her skills set is diverse - stretching from general management, programming and producing through to venue & site design and creation. Previous positions include General Manager of Darwin Festival (2011 – 2014), Executive Producer of The Giants (2015). Anna has been the Head of Programming at Perth International Arts Festival since 2015. Anna is from Fremantle, began her arts career at Deckchair Theatre Company and is particularly passionate about supporting contemporary and diverse Australian stories on our stages and spaces. Emily’s passion for Performing Arts has been her driving force since a young age, this passion led to an Advanced Diploma of Stage Management from WAAPA (2011) and a Bachelor of Arts Screen Studies - Producing and Production Design from The WA Screen Academy (2012), where she won the Design Award for her year. Emily has worked with such companies as STRUT Dance Co, Artrage, Barking Gecko, Black Swan and Co3. In 2017 Emily got a taste for Producing with Lost & Found Opera’s ‘Trouble in Tahiti’, she then went on to produce at the Blue Room Theatre for critically acclaimed ‘An Almost Perfect Thing’. In January 2018 Emily’s latest production ‘Minus One Sister’ will open at the State Theatre Centre as part of Fringe World and Summer Nights. Phoebe Sullivan is a Perth based emerging artist, writer and theatre-maker. Graduating in 2016 from the Performance Making course at the Western Australian Academy of Performing Arts (WAAPA), Phoebe makes new work that is an exploration of language and the body, the innate desire to belong, and the private — often unappealing — sides to ourselves that prevent this from happening. Her practice extends locally and nationally, performing and undertaking residencies with companies such as the Australian Theatre for Young People, Queensland Theatre, Metro Arts, Black Swan State Theatre Company, PICA, pvi collective, Playwriting Australia and The Blue Room Theatre. Phoebe’s ambition is to contribute to making new Australian work, utilising the Female Gaze to explore themes and issues relevant to contemporary culture; recovering lost sensation, our bodies, empathy, and placing it at the heart of it all. Zainab is a Spoken Word Artist, Producer and Educator. She has performed across the world & facilitated workshops on writing as expression, healing and empowerment at the women's prisons in the US, to trauma victims in Pakistan, and with migrants and refugees in Australia. In 2015 she was a finalist in the National Australian Poetry Slam. In 2016 she founded WORD Ink, launching Pakistan's first National Poetry Slam. In 2017, Zainab joined Performing Lines WA as an Associate Producer. She is also co-founder of illUMEnate, a collective of CaLD artists & humanitarians in WA and a humanitarian observer at Immigration Detention Monitoring Program at the Red Cross. 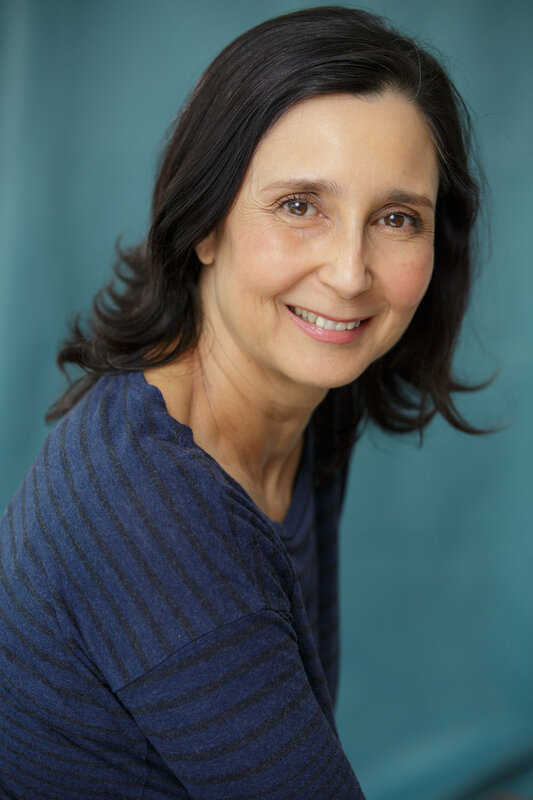 Shirley Van Sanden is an actor, writer, producer and director who has toured nationally and internationally with various companies. In 2004, her play written for the Perth International Arts Festival, Hidden Dragons was nominated for Best New Play and won Best Production and Best Actor, Female for Shirley at the WA Equity Guild Awards. Shirley was nominated for Best Supporting Actress for her role as Alice B Toklas in Gertrude Stein and a companion at the 2014 Performing Arts WA (PAWA) Awards. She has also been nominated for three AWGIE Awards; Hidden Dragons in 2005, Trains of Thought in 2007 and The Warrior and The Princess in 2013. Shirley’s most recent engagement was with Spare Parts Puppet Theatre in the award winning adaptation of Shaun Tan’s The Arrival (2017). William Yeoman is Literary Editor and West Weekend Staff Writer at The West Australian, and will be sharing with us his advice on successfully pitching your work to an editor, as well as insights into getting publicity for your book through the media. As well as being a commissioning editor, William is also a regular contributor to classical music magazines Gramophone, International Record Review and Limelight, as well as classical music website Sinfini. Will has also been a chair at the Melbourne, Singapore and Perth writers’ festivals, is a regular pre-concert speaker for the WA Symphony Orchestra and an occasional guest on 6PR and ABC 720 radio. He is also working on his first novel.